Instagram is a fun, visual social network (you have to have take a picture or video to post) to share your daily experiences, special moments and stories through photos and videos. It also hooks up directly to Facebook, Twitter, Tumblr and a lot of other sites so you can share across multiple platforms if you want. 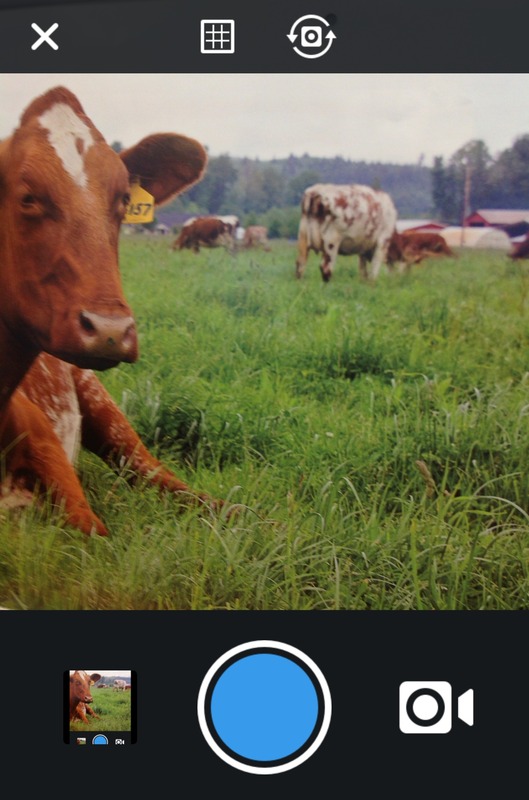 If you need more convincing, check out these 6 reasons to use Instagram for your farm or business. Get started now in just 7 easy steps. Here we go. 1. 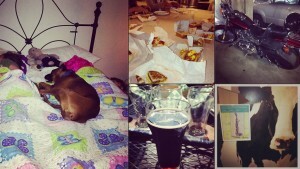 Download the Instagram app. 2. Open the Instagram app once it’s installed. 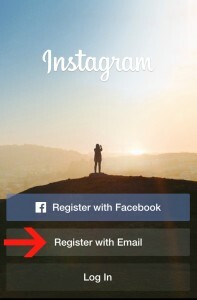 At this point, you’ll have the option to register with Facebook or an email address. 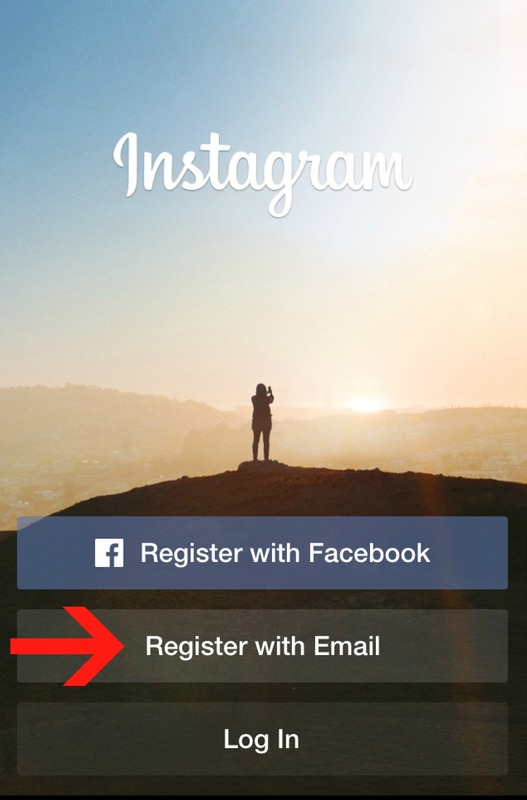 If you have a Facebook account already, registering through Facebook will be an easier option and allow you to quickly find which of your Facebook friends are also on Instagram. 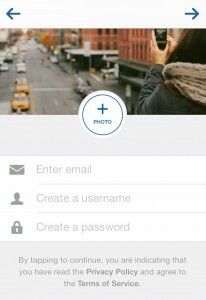 To complete your Instagram profile you will need an email address, username, password and profile picture. If you’re creating an account for your farm or business, choose a username that ties back to your farm or business (Ex. Windy Ridge Dairy). If it’s a personal account, I suggest using your name. 4. 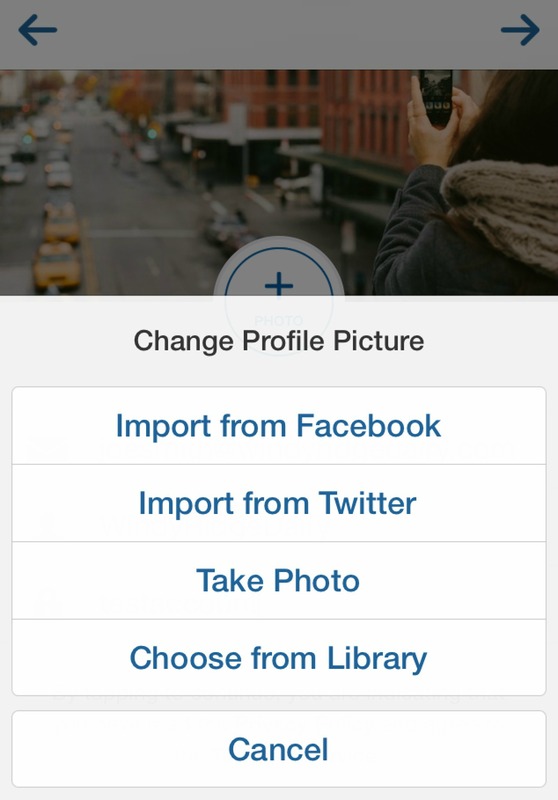 Add a profile picture. 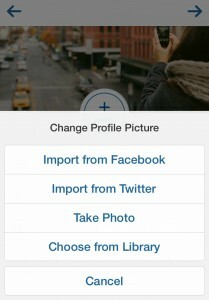 Don’t forget to upload a picture before completing your profile. This image will set you apart from others and help your future followers quickly identify you. 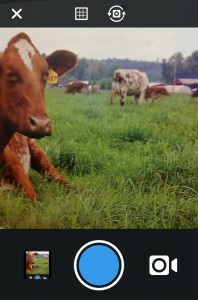 I recommend a headshot or a photo of your farm. 5. 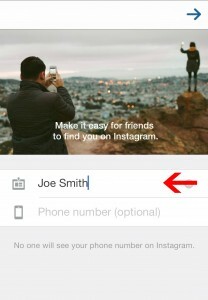 Add more information to help others find you on Instagram (optional). This information is optional. 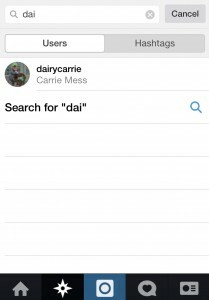 I suggest entering your name to make it easier for others to search and find you on Instagram. 6. Find friends and followers. 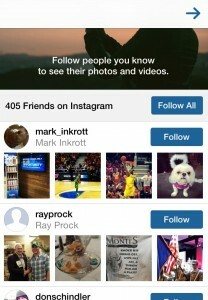 Instagram now will help you find people to follow. 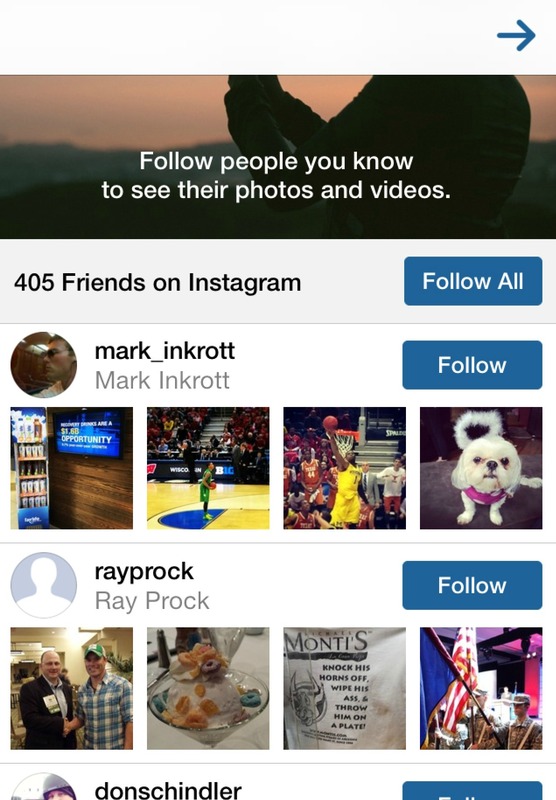 If you click “Find Facebook friends to follow,” Instagram will search and find which of your Facebook friends have Instagram accounts and give you the option to follow them. 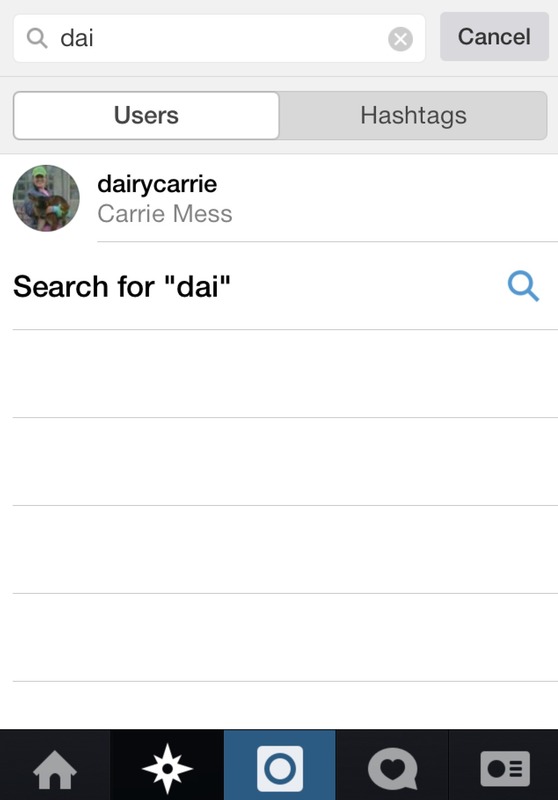 You can also chose to “Find contacts to follow” and allow Instagram to access your phone contacts. 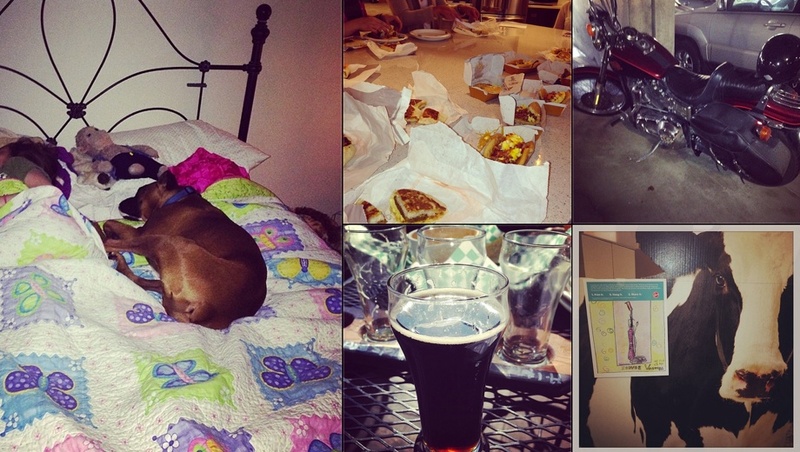 The more people you follow, the more photos will appear in your feed. 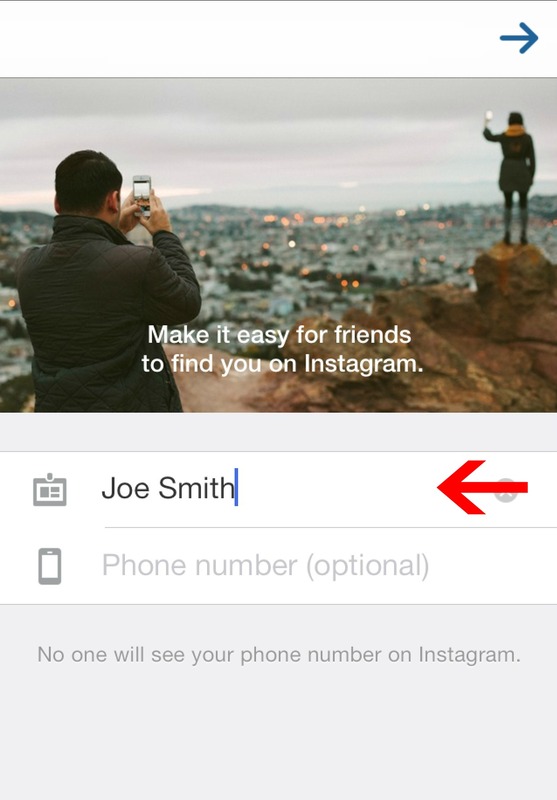 If you choose to skip this step, you can always come back and find friends later or use the Instagram search to find specific people. To search friends, click the “Explore” tab which looks similar to a navigation arrow. Enter the name at the top of the screen. Looking for some suggestions? Here are a few dairy farmers to follow: @dairycarrie, @tzweber, @ezweber1, @RayProck, @gilmerdairy, @trentbown. 7. Take a picture or video. Let’s add your first picture. After you get the perfect shot, it’s time to choose a filter to change the look of your photo – Sierra, Black and White, Earlybird and more! Click “Next” to write a short caption for your photo. From here, you can also easily share to Facebook, Twitter, Tumblr and more. Now that you’re set up and have taken your first picture, it’s time to enjoy and remember to have fun with it! Do you have any more questions about how to use Instagram? Post below or email me.